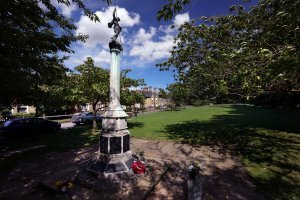 Ramsey's War Memorial is located on The Green, adjacent to Thomas a Becket Church. It lists those who died in the two World Wars. and is the only cenotaph is Cambridgeshire that lists Merchant Seamen.